I am wondering how close these two movements are to each other mostly for the purpose of interchangeability of parts. I know that there are some notes added to the TZ course that covers this movement to show minor differences in parts appearance so I guess I don't know how different they are. I was hoping to buy a couple non working Unitas movements to have parts for an ETA branded one. Will it work? 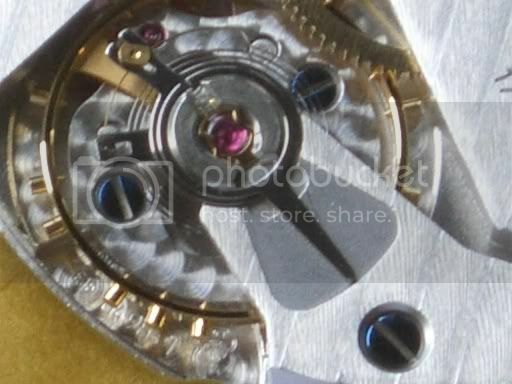 There are six types of movements in the 6497/6498 family. Within each type all parts that are common, between the two different base models, the two different -1 and the two different -2 all parts, except the bridges are interchangeable. There are a few parts interchangeable between all types. ETA or Unitas does not matter. the difference between ETA and ETA -1 is the pallet bridge. The pallet bridge is the part under the balance spring. So does ETA still produce the caliber 6497? I found tech documents for the 6497-1 and -2 both nothing without the suffix. I was looking at a current production watch to grab the movement out of and it is listed as ETA 6497 so I didn't know if that is really what they meant or did they really mean 6497-1. I have sent an email off to the seller to try to get some clarification. Tourby, thanks for the pictures, they helped me figure out what you were talking about. Thanks to the other reply as well. That is a funky pattern on the neck and bridge. Yet the under lying letter are still there. 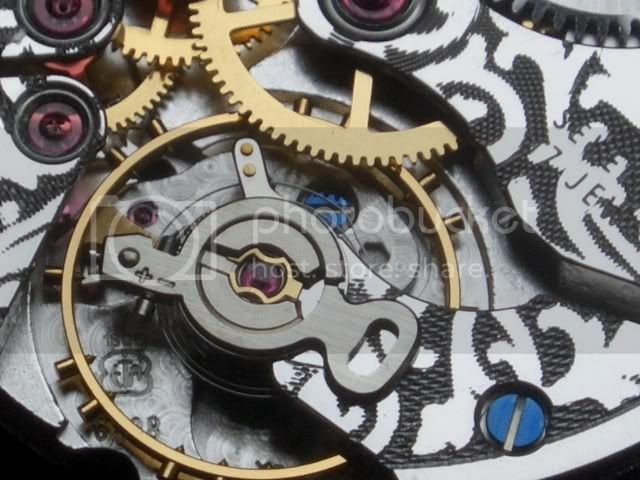 Will you post some better photos of this watch, back out a few clicks where we can see it all? Thank you again. I just got an email back from the seller who confirmed that it was a current production 6497-1. I will go ahead and purchase it and begin my project. I will probably have more questions, and pictures, along the way. Can't wait to see how it turns out. i am a official sponsor of watchuseek. You can check my website. i can´t wait to see your pictures. Should you need any help let me know. So let me get this straight. There are 8 versions (with the base ETA & Unitas versions being identical)? 1) Unitas parts are interchangeable with ETA parts, the only thing ETA did was stamp their own logo on the mainplate. However, there seems to have been a change somewhere along the production and some parts aren't quite the same. In order to cross check what the changes were, you should compile a list if Best-Fit part numbers for both versions (6497 and 6498) and see what numbers are not common. (Jules Borel lists Best-Fit PN in their on-line catalog), personally, I am not that interested. 4) The differences between the base and -1s are more than just the pallet bridge. The reason for the larger pallet bridge was to incorporate the banking pins into the bridge. The base model has mainplate mounted banking pins. The hairspring stud, and regulator were also upgraded to the adjustable one found on all current ETAs. There were other minor changes to simplify production.